The House Intelligence Committee issued seven subpoenas today related toe the Obama unmasking scandal. Seven subpoenas were issued by the House Intelligence Committee regarding “Russian” meddling in the 2016 presidential election. The subpoenas are related to the illegal unmasking of political opponents by the Obama administration.. According to a WSJ report, three of the seven total subpoenas are regarding reports saying that members of the “Trump team” were identified “in foreign surveillance reports, and had their names ‘unmasked’”. The House Intelligence Committee issued seven subpoenas on Wednesday, in a sign that its investigation into alleged Russian meddling in the 2016 election is ramping up in scope and intensity, according to people familiar with the matter. The Republican-led committee issued four subpoenas related to the Russia investigation. Three subpoenas are related to questions about how and why the names of associates of President Donald Trump were unredacted and distributed within classified reports by Obama administration officials during the transition between administrations. The committee has subpoenaed the National Security Agency, the Federal Bureau of Investigation and the Central Intelligence Agency for information about what is called “unmasking.” Republicans on the committee have been pushing for a thorough investigation of how the names of Trump campaign officials became exposed in classified intelligence reports based off intelligence community intercepts. 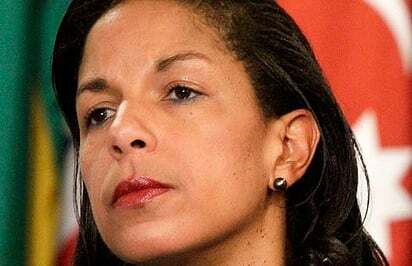 Those subpoenas seek information on requests made by former national security adviser Susan Rice, former CIA Director John Brennan and former United Nations Ambassador Samantha Power for names to be unmasked in classified material. The three didn’t personally receive subpoenas, the people familiar with the matte said. Mr. Brennan, Ms. Rice and Ms. Power didn’t immediately respond to requests for comment.